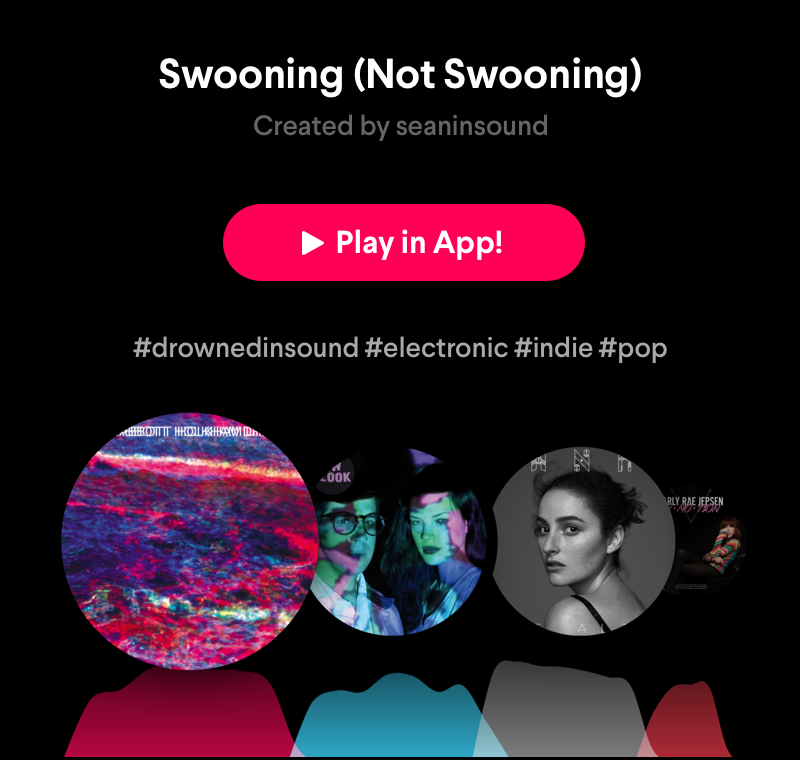 We had a chat with Sean Adams, the founder of Drowned in Sound, UK-based music website. Focusing on a variety of quality sounds from electronic music to pop and rock, they have published interviews with everyone from Björk to Paul McCartney. Sean shared a special mixtape on Pacemaker and now gives you some insight on how the life of a full-time music influencer looks like. When and how did you get interested in music? Was there a certain moment when you heard something that made you wanna dig further and deeper into music? There have been lots of steps into the abyss. As a kid I was lucky that my mum had great taste and car journeys would apparently involve me asking to listen to side two of Low or The Cure. My dad also had a lot of records and I remember one Saturday afternoon when I was about 10 listening to Otis Redding ‘(Sittin’ on) The Dock of the Bay’ over and over, trying to work out why it was so powerful and what it was trying to say. It was a whole other world and ever since I’ve found myself riding on the updrafts of Kate Bush or being blown sideways by Nine Inch Nails or finding myself sitting in an imagined bar with Arab Strap’s stories coming to life. Tell us a bit about the birth of your platform Drowned in Sound – it started almost 20 years ago as a fanzine and throughout those years it became a vital part of the (indie) music community. My first email fanzine/newsletter started when I was 15 so that is almost 20 years ago… I started it because I found the web a bit empty for people passionately talking about music and a bit overwhelming trying to talk about music in general on forums and newsgroups dedicated to Radiohead or Smashing Pumpkins or whoever. I’ve never been a one band guy. Drowned in Sound was an evolution of that newsletter which was becoming lengthy as other people began to contribute. Hearing Muse’s first demo and seeing their rise and rise and rise – despite the music press being dismissive and a bit snobby about them – was definitely a big catalyst and wind in my sail to spot and champion artists who might one day headline a stadium. Nowadays there are hundreds of music blogs / webzines out there, coming and going. You have tons of experience in this field and you’ve been having difficulties yourself with DiS to keep it going. What do you think it takes these days to create a blooming community, to grab attention, to create content that is well-received and keeps readers/listeners come back regularly? I think not chasing hits has been fairly key. We try to make a site that we would want to read. I’ve shied away from deluging and overwhelming our audience. Our recommendations are infrequent. Our tone playful but thoughtful. Then there’s the forums which are allowed to have the freedom for users to be whoever they want to be and we only very rarely need to reign people in. Curating music takes a lot of time and energy – where do you discover music these days? What are your trusted sources? Record labels – there are a lot of labels I trust and always new labels in different scenes who seem to have all the best flagship artists of a sound. I’ll always check out a new release of it’s on 4AD or Erased Tapes or Hyperdub or Anti- or Sacred Bones or so many other great independent labels. I probably trust record labels more than anything else as I know how much investment, time and risk is required to help out something new into the world, which is so much more of an undertaking than just writing a complimentary blog of a stream. Luck is still key. You can’t account for having your ears open and finding yourself curiously checking out an act in your feed or being intrigued to see someone at a festival, then finding something really special. How do you listen to music most of the time? Do you buy lots of physical records or do you prefer the digital streaming nowadays? Mostly on Spotify. I’ve never really been that interested in having a record collection. I’m far more likely to buy a tshirt of a band I like than a record that will probably stay sealed for months. I find the inflow of music totally overwhelming and I’m constantly listening to music through Sonos speakers or my beloved Bowers + Wilkins headphones. I also listen to the radio a lot as a lot of DJs and their producers are lucky enough to be able to spend the majority of their time rummaging for gems, and have the ability to present and make sense of things which are unfamiliar in the context of things I already know and like. You have at least 3 jobs and they are all music-related in one way or another. How do you manage to keep it all going, how would you say a regular working day looks like for you? There’s no such thing as a regular day. My “portfolio career” doesn’t allow much time for sleep. I’m often working from 7am until 7pm and then meeting people for drinks or going to gigs or just collapsing on the sofa. How did you discover Pacemaker? You’ve been using the app for quite some time now. What do you like the most about it and what would you like to improve? Please tell us a bit about your selection for ‘Swooning (Not Swooning)’, the mixtape you made for us. It’s intended to be a bit of a bedroom party. None of the tunes are going to be big floor fillers but they will hopefully light up and expand a little corner in people’s mind’s eye. Lyrically bits of the tracks loosely riff on similar ideas but I’ll leave the listener to find the tenuous discourse and narrative woven between the choices. We have it all covered for you: one mixtape for soothing your spirits, one for lifting them up and one for treating your booty! Serein is an independent record label based in Wales, the UK. It was founded by Huw Roberts in 2005, focusing predominantly on crossover ambient styles and delicate sounds. Fun fact: the name Serein was taken from a meteorological dictionary, it is used to describe ‘fine rain falling from a clear sky after sunset’. This is exactly how the music sounds too, this mixtape will soothe you immensely. To find out more about Serein, check out our interview with Huw about running a label, the perks of Spotify and exciting new releases! How much awesomeness can you fit in 47 minutes? Apparently a lot. 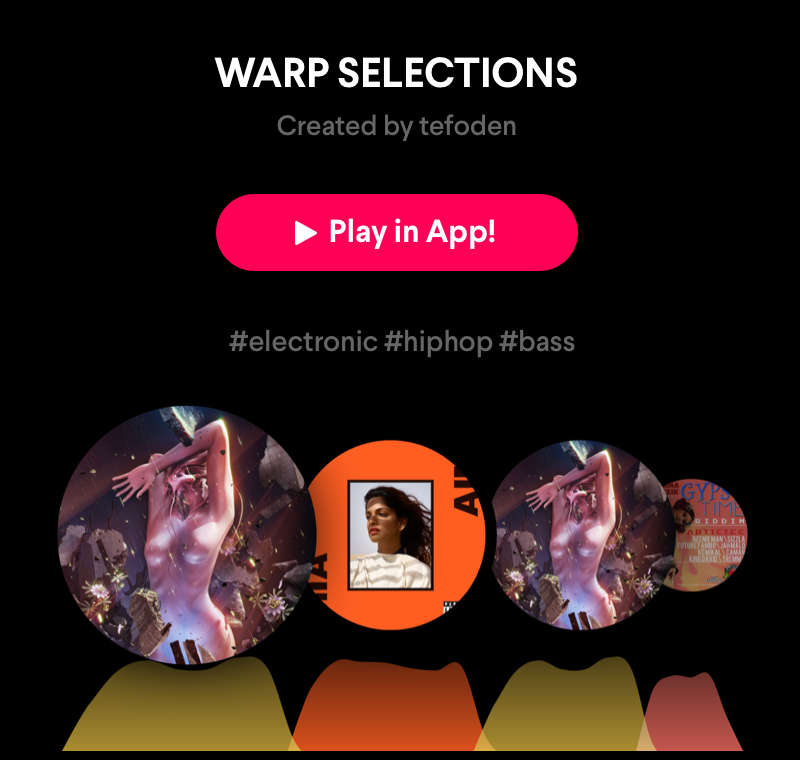 @tefoden dedicated a whole mixtape to the legendary Warp Records who’s been serving as the home of some of the best electronic musicians for the last three decades. Fun fact: he even included some other electronic giants (Hyperdub, Tri Angle). Go crazy with this selection that contains everything from Autechre through Burial to M.I.A. 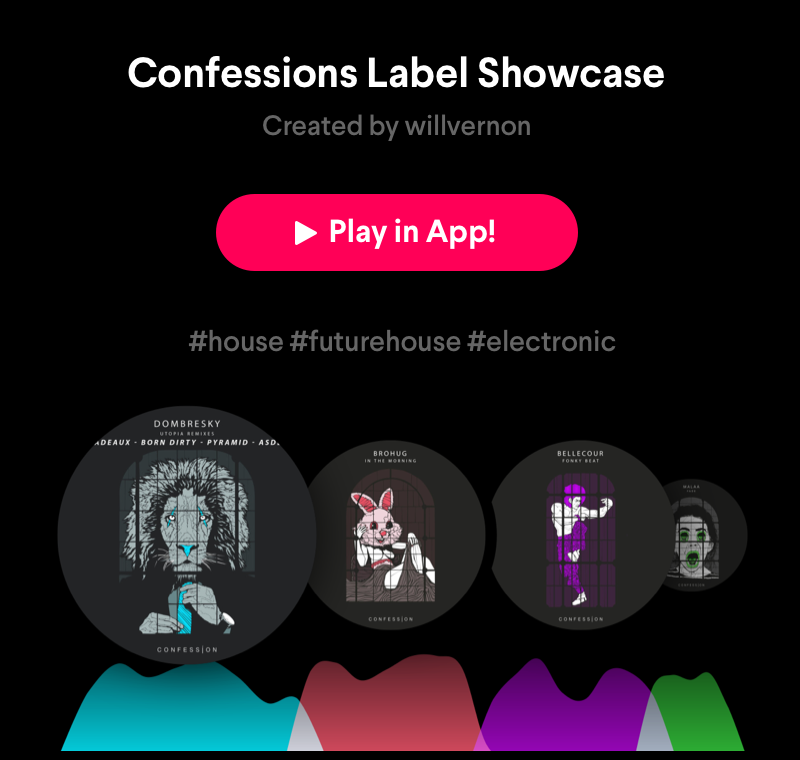 Confession is a music label run by French future house pioneer Tchami. @willvernon created a perfectly mixed selection of the finest tracks released on the label. The perfect introduction! Fun fact: Tchami started using the term ‘future house’ as a tag on his SoundCloud posts which later became recognized in the electronic music industry. Tag your mixtapes, shape the future! Serein is an independent record label based in Wales, the UK. 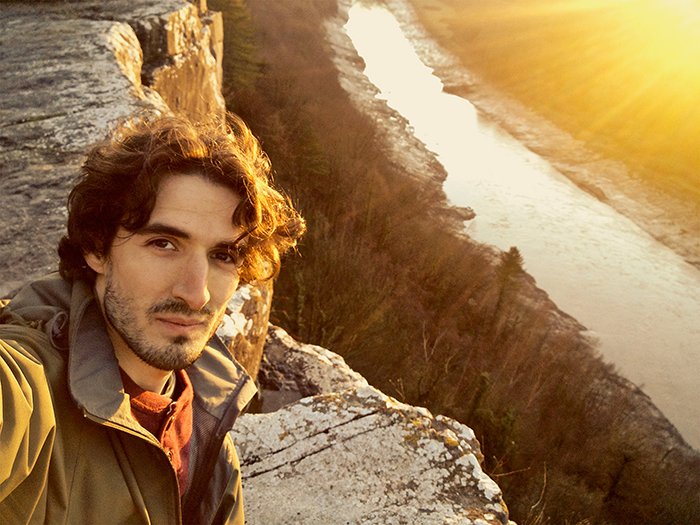 It was founded by Huw Roberts in 2005, focusing predominantly on crossover ambient styles and delicate sounds. We spoke to Huw about running a label, the perks of Spotify, exciting new releases and of course you can listen to a mixtape as well, exclusively containing Serein releases. Please tell us a little bit about the birth of the Serein label. One would imagine there are not too many labels specialised in ambient electronica in the Wales region. Serein was born during a time when I was involved in the free music scene surrounding so-called ‘net-labels’. These were imprints that released music online for free, there was an extremely creative community of musicians, artists and designers involved and I loved being a part of it. You’re right that there aren’t many similar labels here in Wales, and that made the online scene I was a part of even more special – in the early 90s I was making global connections with like minded people all thanks to my PC and modem. I was a member of a group called Miasmah which still runs to this day (although, like us, they now release on CD and vinyl) and later I decided to start my own venture, Serein. Serein was founded in 2005 and you produce physical releases (CD and vinyl) since 2010. How do you think the need for owning an actual product have been shifting since then, if it has shifted at all? Well, I don’t think anyone really needs to own physical items beyond practical day-to-day items. CDs and records are luxuries which is why we put a lot of thought into the artwork and packaging of releases. 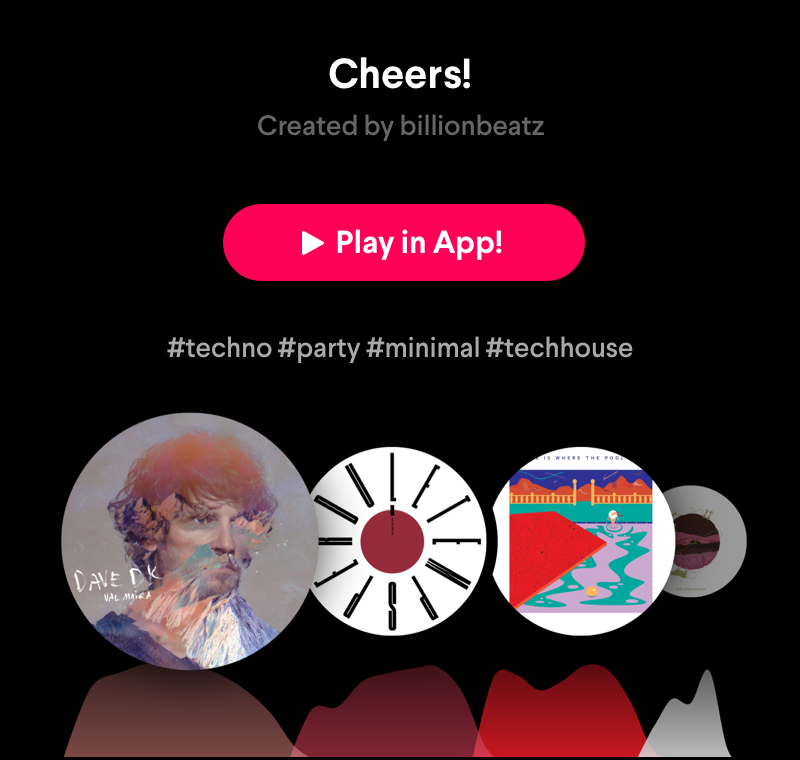 Many people are now happy to enjoy music digitally, either by downloading music or, as is more often the case, via a streaming service like Spotify. Sometimes people are surprised to hear that I’m a fan of digital streaming – for me, the convenience is a major plus point, not to mention the extremely small footprint it has in terms of its impact on the planet. I do believe there’s a balance to be struck though, I don’t want my music collection to exist solely in the digital domain. Sometimes, a piece of music makes such an impact that I want to have a physical copy to keep and to cherish. Something that occupies physical space, that you can hand to someone and say, ‘look at this – isn’t it beautiful?’. The way I run Serein is a reflection of what I look for and enjoy as a consumer. Click on the picture to play the Mixtape in Pacemaker! What do you think are the biggest challenges when running a small, independent label like Serein these days? In some respects, a record label is a business like any other and comes with the same challenges: continued growth, turning a profit and so on. These are always present and we have to be mindful of them. Other times we might face challenges related to specific releases, for example, dealing with material that’s very difficult to cut to vinyl, printing issues, technical problems with our site and so on. We are always trying to improve every facet of what we do. Identifying problems and finding elegant solutions is a continuous process, one that ultimately benefits everyone. One big challenge we have right now is integrating a new shop with our website, it’s taking a lot of time but it’s coming together and we’re really excited about it! You put a lot of focus on the physical releases, both the audio and visual quality of the product. At the same time the label is present on Soundcloud, Bandcamp, Spotify and now you have posted a mixtape on Pacemaker too – how much of the original idea of the products gets lost when you’re only looking at them through a(n often) mobile screen? As I mentioned before I really like streaming services. When I’m in the office, I almost always have Spotify open. I’m really organised with my playlists and I have a pretty big collection of music in my account. I just love discovering new music through it, and of course, when I find something I really connect with I will often track down a physical copy. To be honest, I don’t think listening to music via Pacemaker, Spotify or any other app dilutes the experience. In fact, I really like the idea that someone could be on a train journey somewhere, thousands of miles away from me, discovering the music of Serein as they gaze out of the window. I mean, how utterly futuristic and wonderful is that? That the music we so carefully curate can be discovered in this way is a dream come true in many ways – the idea of that person, sat on that journey hearing our music for the first time and it making an impression – that’s really special. I love the technology that’s available to us now, it’s like magic. 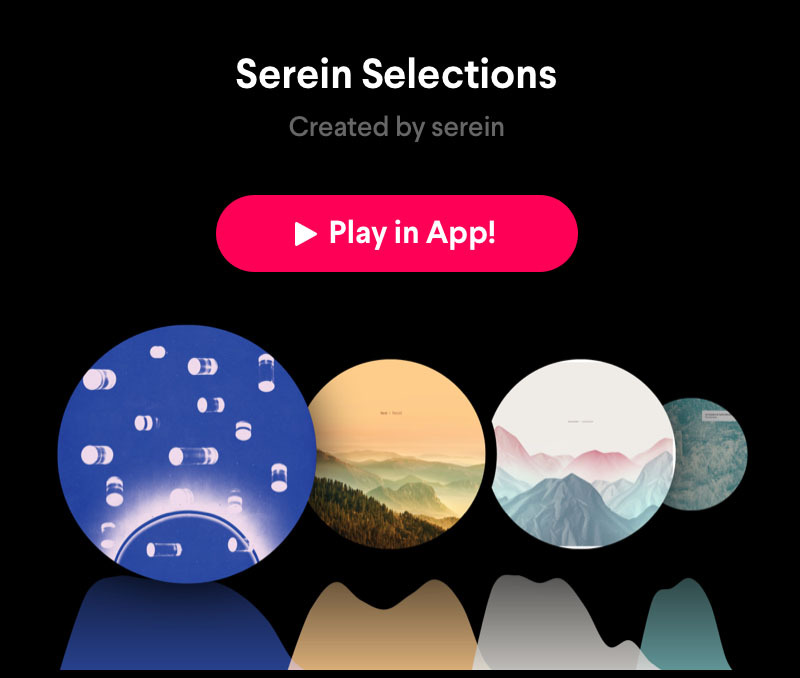 Let’s say someone would love to release their music on Serein. What would it take for you to get interested in a project and eventually release it? What sounds are you looking for nowadays? I’m not looking for anything too specific, but what gets me interested is music that has its own identity and personality. It doesn’t have to be totally unique or wildly original (I’m not looking for material that totally reinvents the language of music), but it must have something to set it apart. Like other forms of art, creating music is an opportunity to tell a story – work out what you want to say and translate your personal experience into sound. Weave life into your music and people will respond. You make music yourself under different aliases (Hidden Rivers, Nest – you can hear them both in the mixtape), but you’re lucky enough to release your music on your own label. Making music is not a privilege anymore, so there’s a ton of music going unnoticed out there… what would your advice be to young artists, how can you make yourself heard? If your motives are pure and you create for the right reasons, the rest will fall into place. Those who are truly creative find ways to be heard – they don’t need my advice, it will happen given time. This year is going to be an intense one for Serein. What are you working on currently and what could you tell us about the upcoming releases? Yes, we have quite a few releases in the pipeline and it’s a lot of work organising each one – the best kind of work though! Up next we an album by a Latvian guy who produces under the name Selffish. He’s made a beautiful, delicate album of minimal electronic music combined with acoustic instruments like grand piano and double bass. It’s a bit like some of the music that came out in the early 2000s on labels like Mille Plateaux, City Centre Offices and April Records, but with a sheen and polish that sounds really modern, I think the classical instrumentation helps with that too. It’s called He She Them Us and will be out on April 21st. There’s more to come after that but we’re keeping those releases under wraps for now. If you’re interested then like us on Facebook and join our newsletter so you can stay up to date with what we’re doing. You’ve just shared your first mixtape on Pacemaker, containing exclusively tracks released on Serein. What could you tell us about this selection, what should the listeners expect once they push play? We teamed up with the online underground electronic music curators Watch The Hype and we are proud to present their very first Pacemaker mixtape. 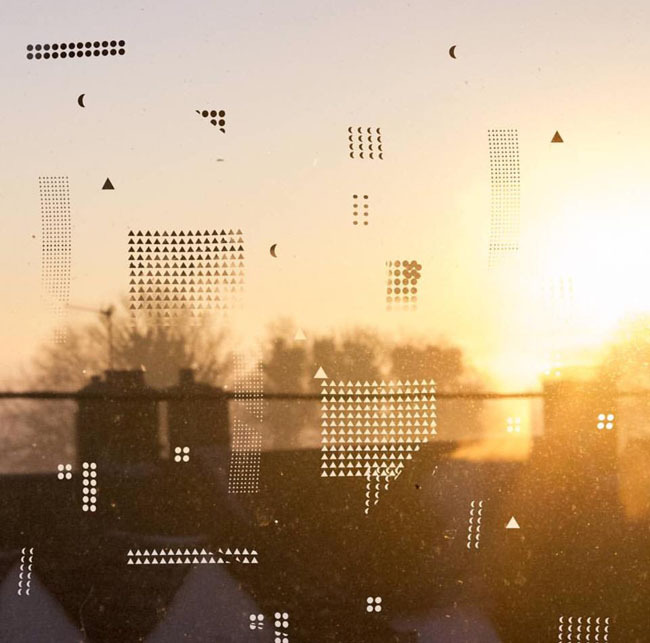 The London-based curators are dedicated to focusing on forward-thinking artists, constantly supporting the latest and best in electronic music. We chatted a bit about their background and their involvement in the music scene and they also created an exquisite mixtape featuring some of the finest dub techno and dub reggae tracks by Moritz von Oswald, Rhythm & Sound, Pablo Bolivar, Claro Intelecto etc. You’re in for a special treat! Who’s behind Watch The Hype, where are you guys based? John: There are three of us main guys behind the platform – myself, Matt and Oli. I live in North-West London suburbs and Matt and Oli both live south of the city. We have a core family of five top music heads who write for us and run various features of our platform, and there are a number of other freelance contributors spread across the globe. All of us work from home on our laptops and have other jobs – it’s a pretty modest setup to be honest. What’s your mission, tell us a bit about the birth of Watch The Hype and how you decided to launch your platform. John: Our mission is to advocate social change through music, focusing on direct artist-led curation. Watch The Hype began as Oli’s humble university journalism project to aid his course and covered all styles of music. 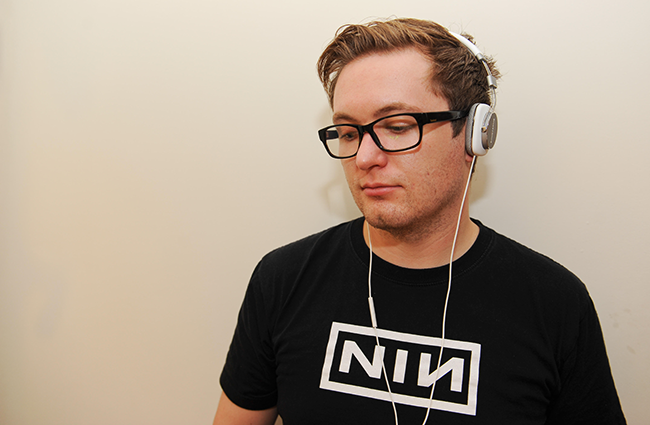 Matt joined, it became focused on electronic music and started to build a name for itself through our consistency in YouTube radio rips (primarily forward thinking UK techno and bass music). I met Matt at uni and we clicked on music terms instantly. Working together, the blog grew quickly and has continually evolved (and it’s still evolving) to become what it is today. What is the most rewarding thing about running Watch The Hype? John: I think I speak for all of us when I say being able to have genuine, involved conversations and even friendships with artists and heads in the scene we truly admire. It’s a wonderful community of people on the whole. Also, the ability to promote the music of friends and emerging talents is truly rewarding. Oli: When people come up to you and say they’d first heard a track on our platform and haven’t stopped playing it since, or were introduced to an artist who they’ve really connected with and saw them live. I think music is incredibly powerful for a few reasons: therapeutically on a personal level; its potential to spread ideas and messages to large audiences; as well its ability bringing people together. It’s really nice to hear when our platform has been an initiator of that for people. How did you get into music? Do you remember your first revelation when it comes to discovering something? John: Now that is a hard question – for anyone. I can’t remember any specific moment in time, but I remember my first real influences came from my dad. Artists like Led Zeppelin, Pink Floyd, David Bowie, Steel Pulse and later the likes of Herbie Hancock, Steely Dan and many soul/disco records. I remember a specific revelation which transformed my taste during my first year of university: hearing Burial & Four Tet – Moth. That opened my eyes to dance music other than dubstep haha. Matt: Like John, my earliest music related memories are with my Dad. When I was a kid he had a drop top car with a 6CD changer in the boot. I distinctly remember loading up albums from artists like Moby, The Prodigy and Royksopp, then blaring them out as we cruised about. I still listen to Moby and Royksopp actually, that music was and still is a big influence on me. In terms of the style of music I am into now, I have to credit Fabric in London. A couple of mates and I went there for the first time when I was 19 and I was blown away. I remember feeling like I had unlocked a whole world of music that I wasn’t aware of. My interest and involvement with the scene spiraled from there. Oli: My mum always tells me the story of her playing music to me when she was pregnant, like putting the headphones up to the ‘bump’. Rumours have circulated that it’s suppose to make the child smarter, but I think that’s all lies… I can’t really remember that so I guess music started becoming a big part of my life when I got my first walkman. I was the age when you wanted a CD just cause it says ‘Explicit’ on the cover, and you wore bolts jeans with at least one chain. I was listening to a lot of Korn, Slipknot, Limp Bizkit etc. Then a year or so later, I moved to America and became obsessed with hip hop and rap, specifically D12, 50 Cent, Timberland’s productions. From then my music taste has become incredibly eclectic, listening to a huge range in genres on a weekly basis and trying to keep my mind open to different sounds and conceptual ideas within music. You’re curating tons of great music for your readers but how do you discover music yourself? John: From as long as I can remember and to this day, recommendations from friends. Now, a combination: primarily record stores; a few of the main publications; artist charts and mixes; and good old YouTube. Matt: I’ve found a ridiculous amount of music from radio shows, in particular Hessle Audio on Rinse FM. Radio is a great platform for DJs to showcase a much wider spectrum of their taste. I’ve found many quirky, leftfield tracks that I would probably have never have heard in a club. Oli: A lot of my time is spend YouTube and Soundcloud hopping, as well as IDing tracks at events and word of mouth. John: DJ Sotofett, Mark Ernestus, Lena Willikens, Kendrick Lamar. These are my sounds right now. Matt: In terms of DJs: Ron Morelli. I saw him at Oval Space the other day and I couldn’t believe the sounds that were coming out of the speakers. Objekt has also been amazing to watch. Oli: J Cole (the man is a god), Call Super, Skee Mask, Project Pablo. I’m also really into Jóhann Jóhannsson, an Icelandic composer who’s done a lot of soundtracks. His most recent work is the score for Arrival, which I thought was outstanding. Do you have a favourite album cover? John: Donato Dozzy & Nuel – Aquaplano Sessions. There’s beauty in simplicity. Matt: That’s a tough one. I wouldn’t want to pick a favourite without going through my entire collection of music, which would be a bit of an ordeal. Of the top of my head, I think meandyou Manchester have got their art pretty spot on. Oli: Probably Bonobo’s North Borders. I think artwork is almost as important as the music (contradictory of Omar S’s views). It’s what conveys the message of the music into picture (as well as music videos). I guess more relevant to vinyl and CD than any other medium, but it is the first thing a lot of people see before they actually play a track. How do you like Pacemaker? What are your favourite features and what would you like to add or improve? John: I had a lot of fun creating that first mix (Watch The Dub). Pacemaker’s mixing ability is pretty damn good, even though I threw some mixed tempo curveballs at it. 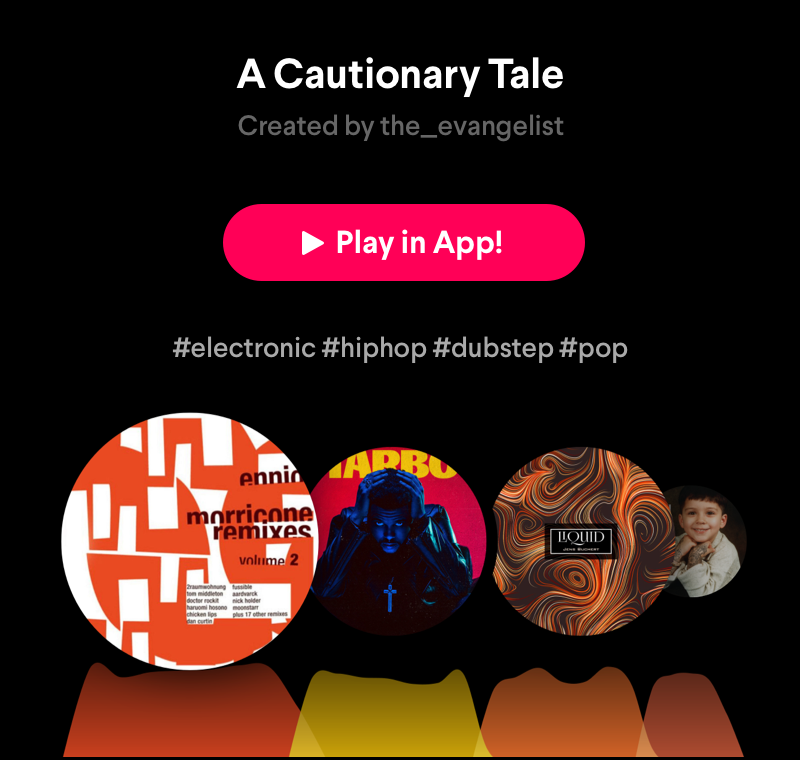 The platform is neat and intuitive, and users are uploading some great music – but that’s expected with heads like you lot behind it! One thing I did find limiting was the inability to start a track when you like. It seems you can cut one to finish but not decide when a track starts (I appreciate this has something to do with the way it programmes the mix, but perhaps being able to select the rough area a track starts might be a bonus?). On the whole it’s great for two reasons. The first being the ability for any non-DJ to be able to make a neat mixtape for journeys, parties or whatever. The second, it’s a great little tester for DJs to find out what tracks might work together while you’re on the move! 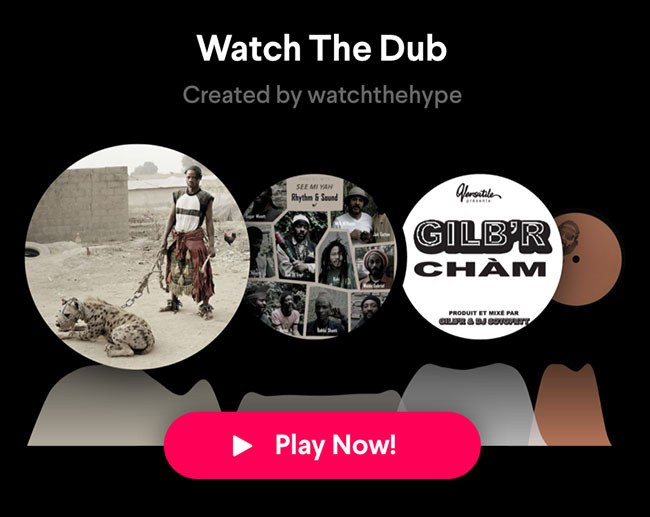 (Although you won’t be finding any of your dubplates on Spotify of course…).